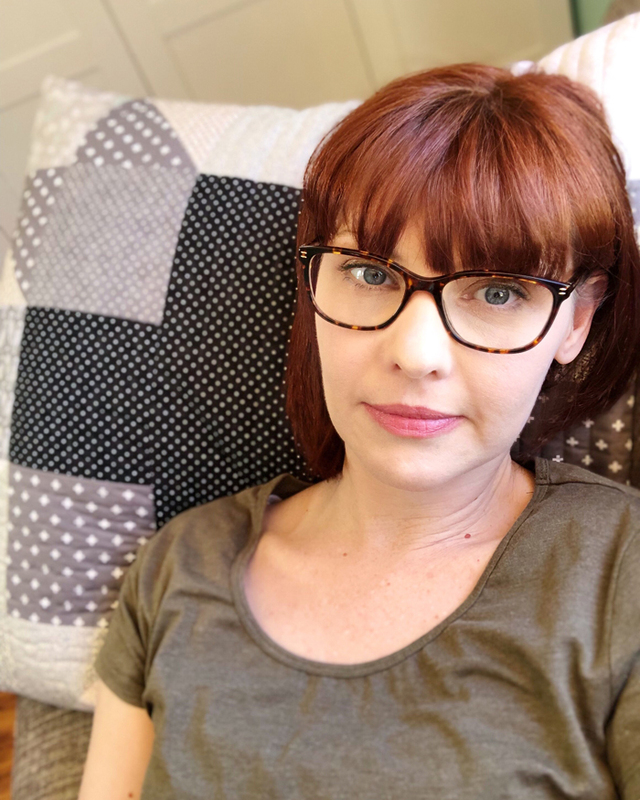 When I heard Jemima Flendt was writing a new book I was so excited – her first book, Weekend Quilting: Quilt and Unwind with Simple Designs to Sew in No Time was amazing and I was eager to see what creative ideas she would explore next. 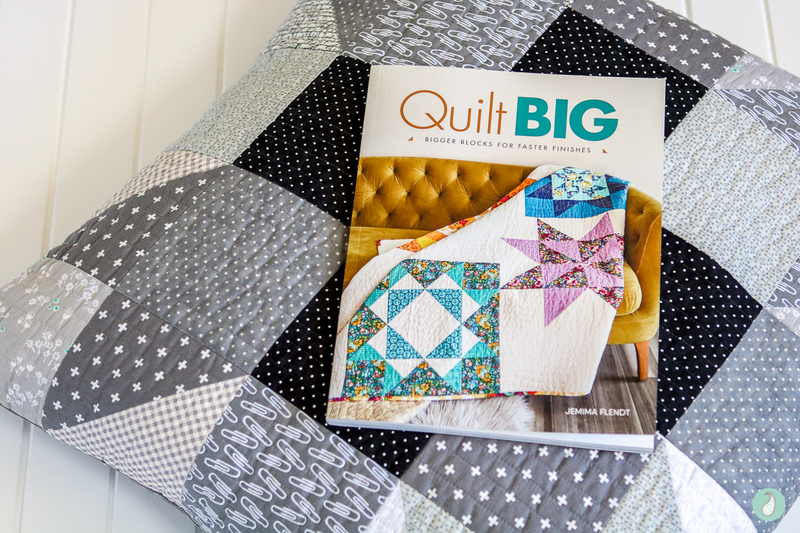 In Quilt Big: Bigger Blocks for Faster Finishes, Jemima continues to focus on designs that weekend quilters and those of us with limited time can explore to make a big impact despite time constraints. As the back cover exclaims, this book is about “MAXIMUM IMPACT, MINIMUM TIME”. 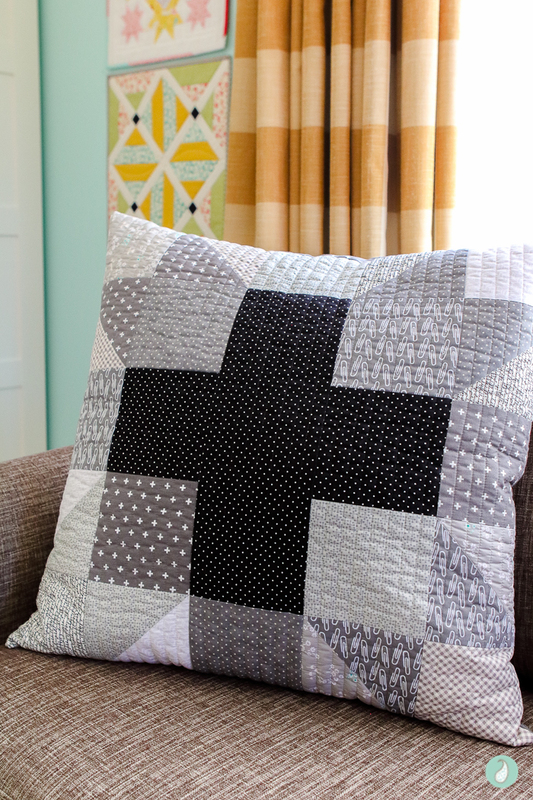 ‘1’ goes through some quilting basics. 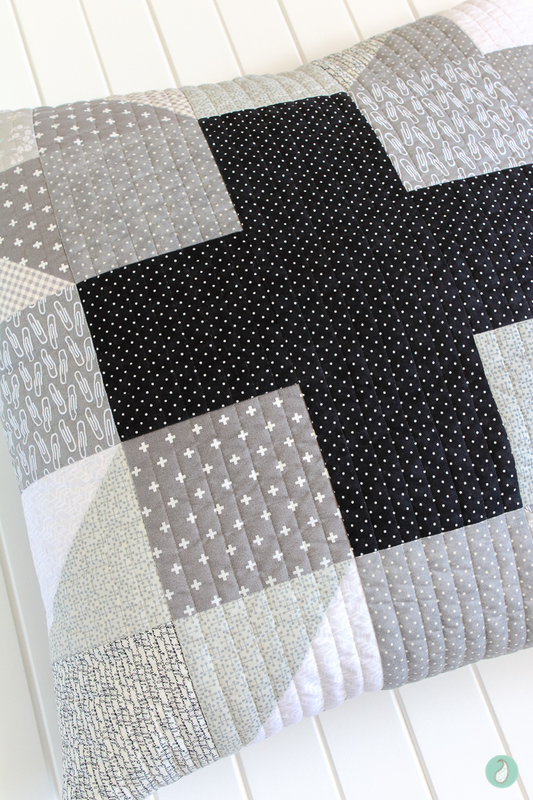 ‘2’ teaches you how to upsize quilts and quilt blocks. 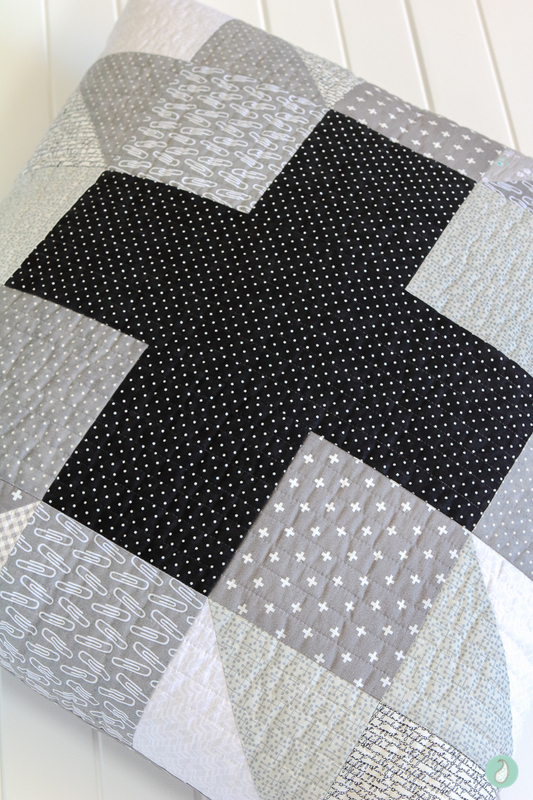 ‘3’ is dedicated to each of the 19 quilt blocks you will find throughout the quilt patterns. ‘4’ contains 17 projects, some small and some large – but all made with large blocks. Originally I intended to make the Simplex Star quilt (on page 79 of the book) to share as part of the blog tour. I thought it had a great masculine vibe which would be great for my son. 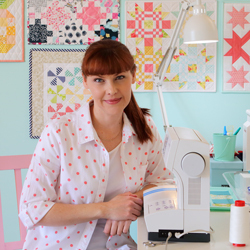 You can see a picture of the quilt on Jemima’s blog here (it is the blue quilt made with the friendship star block). But despite my best intentions, injuring my back in January put a hold on new sewing projects. So, instead I am sharing the project I made just for fun when the book arrived in December. It is the Hearth & Home pillow (found on page 111). Jemima’s pillow is made from her collection of aqua scraps, so naturally, I was immediately drawn to it. 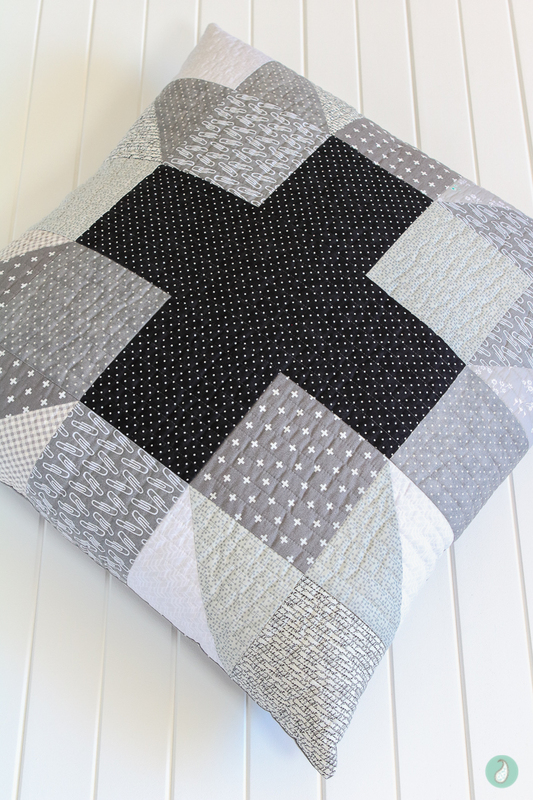 But for my pillow I used a collection of grey scraps creating more of a neutral feel to the pillow – and perfect for my youngest son’s room where it is destined to reside. I have to admit, piecing this supersized block with my scraps was really fun, and a productive way to spend an afternoon creating! If you want to make a big impact in little time, then you will love this book. And you can also follow #quiltbigblogtour on Instagram to check out the amazing projects made by these talented makers too. And if you would like a chance at winning the entire collection – head on over to Jemima’s blog and enter her giveaway. 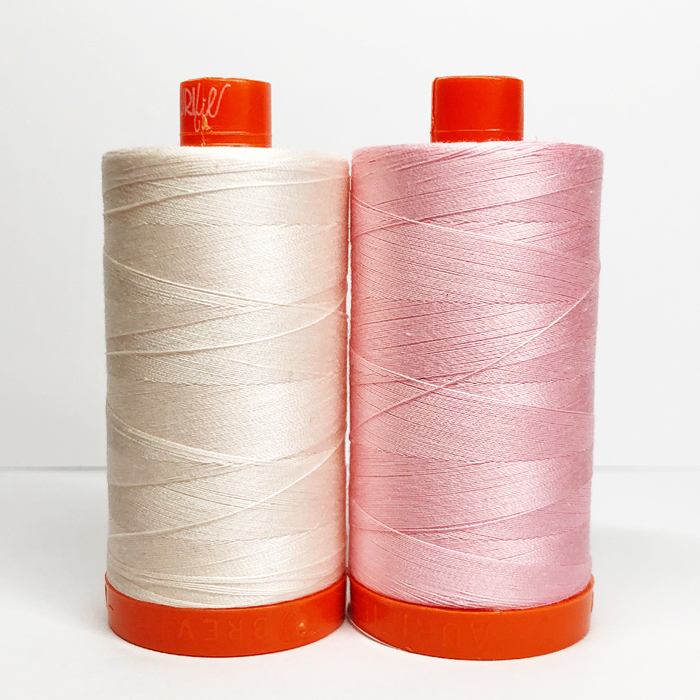 Until next time – create joy with fabric and thread! 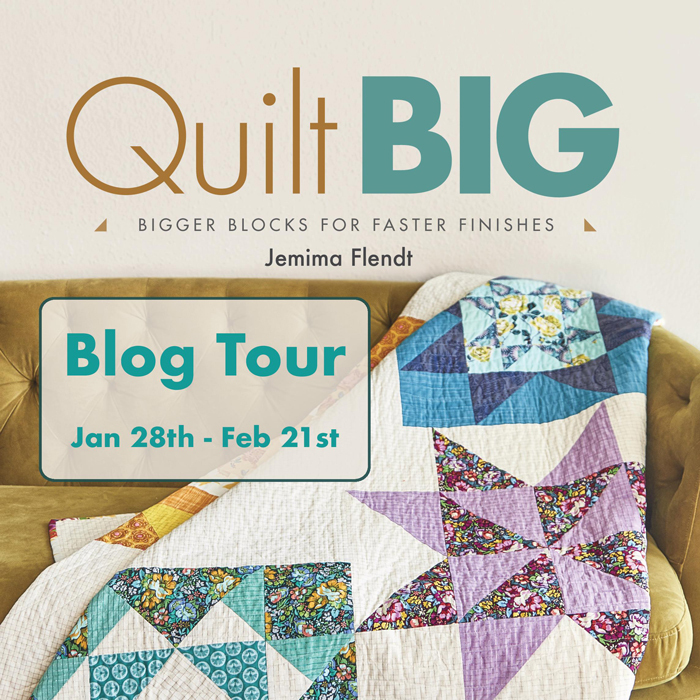 Disclosure: This post is in association with The Quilting Company and the launch of Quilt Big by Jemima Flendt. Aqua Paisley Studio is committed to high standards of integrity and quality, and only promotes brands that meet these guidelines. I made a king size Single Girl and a king size 16 patch of original Katie Jump Rope fabric. I think that my black / white / lime coloured Swoon quilt is my biggest quilt – not sure exactly what the measurements are, but it fits my queen sized bed! 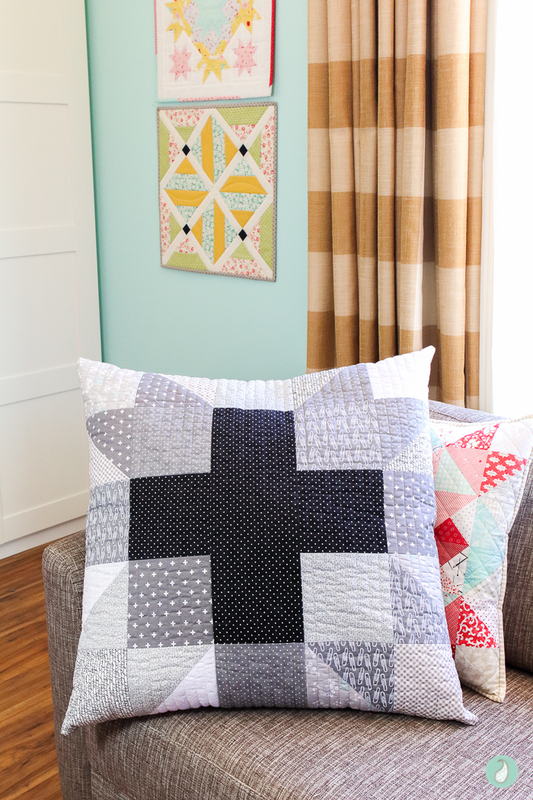 Love Your Pillow Project>so neat ! Thanks for sharing! My biggest quilt is a lap quilt, but I have not been quilting very long. I like the neutrals you used for your pillow..can go anywhere! 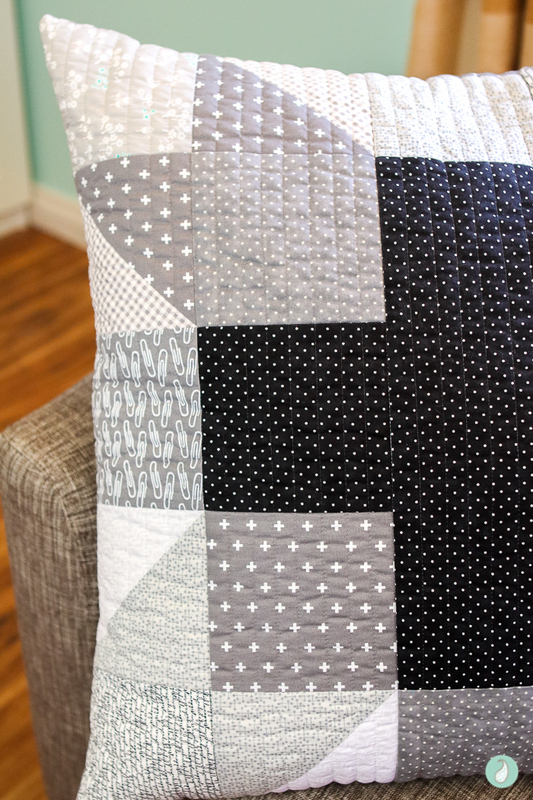 I have made and quilted on my domestic machine a king size quilt…yes, it was quite the feat! I made the original Swoon quilt several years ago and it’s 80” x 80”. Not sure I’d make one that big again but I love that Swoon quilt. I have made several King size quilts but not happily. It is hard to handle all that bulk. I love these big blocks. The biggest quilt that I have ever made is a king sized quilt. I made it with 9 inch squares sewn together in a ombre color scheme and backed it with flannel. I then hand quilted the entire thing whole cloth fashion. It took over a year to complete, but we still use it and love it. Thanks! 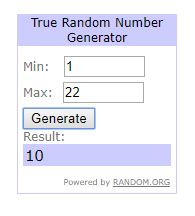 Congratulations Cindy – you are comment #10, and the winner on this stop of the tour. A couple of Aurifil spools are heading your way :). The biggest quilt I ever made was a Civil War Reproduction quilt. It was huge…over 100”x 115” (something like that). It was slightly over my skill level, but as a US history nerd I really wanted to make it. I almost didn’t finish it because it was frustrating at times. A lady at my LQS told me to “ just do it”. She said I would always look back on it fondly. She was right! Wonky blocks & some cut off points don’t phase me now-I love that I pushed through & completed the monstrous project. I also appreciate the skills I learned in the process. The largest quilt that I have made is a queen size. Since I have been quilting my own quilts on my domestic machine, that is big enough, in fact a little too big. But, I just bought a long arm, so now larger quilts may be in my future. I made a king size quilt for my only grandson a few years ago; quilting on my Bernita is a challenge for that size…it isn’t a long arm!!! I made a King size quilt, and have another one waiting for quilting. But it’s really hard quilting it in my domestic machine. I love your pillow! It’s beautiful and looks soft and cushy! The biggest quilt I’ve made so far is a twin size quilt in a watercolor style – lots of 2-inch squares! I have made 3 king size quilts in just over a year. I am ready to make lap quilts. The pillow is really wonderful. The biggest quilt I’ve ever made was 109 x 109…its HUGE! Moda building blocks is the biggest I have made. 110” square. LOTS of small pieces-but beautiful. I made a disappearing 9 patch that grew faster than I realized. I think it was about 90 x 110. I called it the beast and gifted it to my sister.